Joao Ehlers | Soccer | Asheville Shield F.C. Originally from Caxias do Sul, Brazil, Joao is a graduate of the Ohio State University. He played his final two seasons at OSU and was awarded Big Ten Co-Offensive Player of the Week (2014), The OSU Athlete of the Week (2014), Academic All-Big Ten Conference Team (2015) and OSU Scholar Athlete (2015). 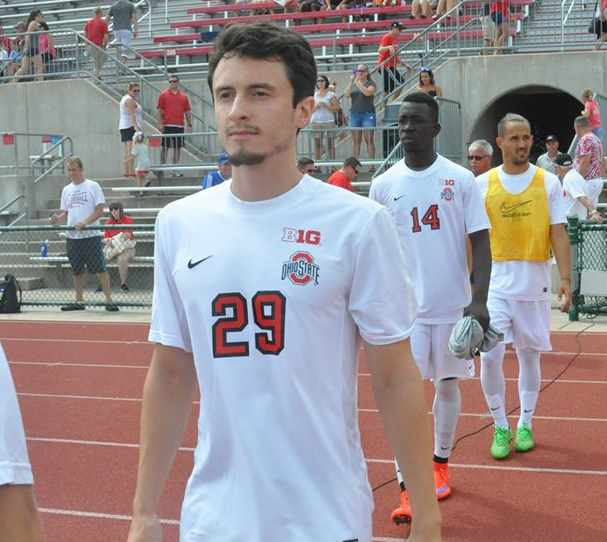 Joao's OSU program also won the Big Ten Conference Championship in 2015. Prior to his time at OSU, Joao was a Dean's List student (2013) and two-time 2nd Team All-MSC at University of the Cumberlands. Joao played within the Premier Development League (PDL) and was named Honorable Mention while playing for VSI Tampa Bay in 2013. Prior to moving to the US, Joao played at a very competitive level with both Sport Club Corinthians Paulista Academy and Esporte Clube Juventude Academy. Joao recently served as Technical Staff Intern at Columbus Crew SC and worked as an assistant coach for the U-23, U-18, U-16 and U-14 teams. He was also an intern at Capital University men’ soccer coaching staff during the Spring of 2017. He is currently on his second season as an assistant coach for Montreat College men’s soccer.